OneKorea aims to provide comprehensive perspectives and promote dialogue about current issues surrounding the Korean peninsula. It is well known that the higher up in the North Korean class hierarchy a family is, the more access its members have to South Korean movies and dramas (the media grouped together internationally as ‘Hallyu’ or ‘Korean Wave’). This was a view confirmed yesterday by Park Jung Ran of the Center for Cultural Unification Studies at the release of the center’s latest report, ‘Hallyu; The Wind of Unification’. The center’s latest report is the sequel to last year’s ‘Hallyu; Shaking North Korea’ by Kang Dong Wan and Park Jung Ran. This time the two have surveyed 100 defectors, divided by region, class, gender and generation, in their renewed hunt for ‘Hallyu reality’. According to the results published in the report, 32% of men and 13% of women have experience of watching some kind of South Korean media, while people in their 40s, at 33.3%, have the most access overall. Unsurprisingly, people living along the Sino-North Korea border in North Hamkyung Province have the highest degree of access in geographical terms. The event also involved a policy debate, reminding the audience that allowing North Koreans to have access to South Korean media may be good, but the question of what kind of media to give access to is also important. Nevertheless, Kang was confident that media access is a critical area that must be focused on. The Korean War most of us know is the one suffered in the South. It usually starts with the invasion of Seoul then goes down to Daejon and Gwangju, then there is a counterattack on the Nakdong River and all the way back up to the Yalu River and then down to the 38th Parallel and an uneasy truce. But Kim Jin Chul (75), who experienced the Korean War in Pyongyang, has a different image embedded in his memory. The day the Korean War started was an ordinary day. People came and went with great urgency, but Kim and his family were watching out for the chance to go to South Korea. His family had come north because of his grandmother, who was sick in her Pyongsung home, and could not return. His mother said it was actually quite a good thing. “I knew that a war had broken out when I heard Kim Il Sung’s radio address on June 28th, where he announced, ‘We have captured Seoul after just four days following South Korea’s sneak attack’,” Kim recalls. He didn’t even know what war was, but after hearing from his mother that it is where ‘some people live and some people die’ his heart dropped. Three days after the outbreak of war, President Truman approved support for the ROK army. On the 29th, the day after North Korea invaded Seoul, the U.S. mobilized B-29 Super Fortresses to bomb major cities including Pyongyang. Kim and his family went into the nearby mountains to escape. He lived with his grandfather, parents and younger sister in a hut. That August, his father lost his life in the bombing, but they never even found the body. After that, Kim went through three long years of suffering. He lived on handfuls of rice and grass. Even after the Armistice Agreement was signed on July 7th, 1953, his suffering did not stop. He entered elementary school but was mobilized to carry stones and soil to restore sites damaged in the war. We “carried stones and soil across mountains and rivers the whole day except for two hours,” he explains. It was a routine that continued until he graduated from vocational school in 1965. The North Korean authorities have reportedly handed out medals and awards to the parents, teachers and heads of local youth organizations of a student who supposedly lost her life trying to save portraits of Kim Il Sung and Kim Jong Il from floodwaters. Rodong Shinmun revealed the story on the 26th, saying that on June 11th a 14-year old girl, Han Hyun Kyung, had to escape her home in a gorge in Shinheung County, South Hamkyung Province after it was flooded during heavy rains. Despite the danger, the piece claimed that she managed to rescue portraits of Kim Il Sung and Kim Jong Il and pass them to her mother before passing away. The piece then noted, “A total of seven people have been rewarded upon the orders of the Standing Committee of the Supreme People’s Assembly; the student’s teacher, mother and school principal, father and school vice principle, local Youth League leader and middle school Chosun Children’s Union leader.” It also gave the types and levels of the medals and awards conferred on the recipients. The story comes after recent celebrations in Pyongyang for the 66th anniversary of the Chosun Children’s Union, events reportedly attended by a record number of students from across North Korea. In reports covering the event, the emphasis was placed heavily on inspiring generational loyalty to the regime, something which the conferring of the latest awards is intended to underscore. This is not the first time that such a story has been reported. A story about a fallen soldier who died saving a soccer ball given by Kim Jong Il from river rapids is another popular example. However, in that case a posthumous title was given to the deceased soldier only, not to his commanding officers or family. President Lee Myung Bak, speaking in San Francisco on Tuesday 26th, once again emphasized the importance of maintaining peace on the Korean Peninsula through strength. “If North Korea provokes us, it is now our firm stance that it should receive a still greater punishment,” he went on. In addition, President Lee compared the per capita income of North and South, saying that in the 60 years since division, South Korea has achieved economic success and development similar to that of Japan because “we maintain liberal democracy”. The United States should take a back seat to China and South Korea when it comes to applying pressure on North Korea, according to an influential, retired Marine Corps general. “We could probably do a substantial amount of solving the problems of North Korea if we would let South Korea and China work the problem,” said retired Marine Gen. James Cartwright, who retired last year as the vice chairman of the Joint Chiefs of Staff. Cartwright’s comments came Tuesday during a presentation at an event sponsored by Johns Hopkins University Applied Physics Laboratory. “Once you start to introduce commerce, risk equations change substantially,” he said, noting both China and South Korea have built roads and rail lines up to the North Korean border. “But as long as we’re there, it looks like a wartime footing. We’ve just got to think our way through how to do this,” he said. The U.S. has about 28,000 troops based on the Korean Peninsula. “We’re better off solving these problems if we do so with China,” he said. 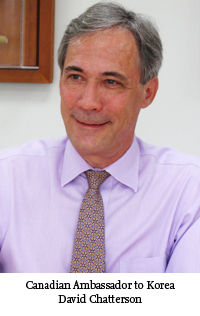 Cartwright said there needs to be an authoritative venue that could address nations’ claims of natural resources under the South China Sea. SEOUL, June 28 (Yonhap) — Three men who manipulated stock prices by spreading false rumors of a nuclear reactor explosion in North Korea have been sentenced to prison terms, court officials said Thursday. The rumors, which circulated through an online messenger service, claimed a light-water reactor had exploded in North Korea and was leaking radioactive materials that could reach the South. On Jan 6, the rumors hit South Korean stock markets, causing the benchmark Korea Composite Stock Price Index to fall 1.11 percent, after shedding as much as 2.12 percent at one point. The local currency depreciated 0.88 percent against the greenback. A 28-year-old surnamed Woo was sentenced to two years in prison, according to officials at the Seoul Central District Court. The court sentenced Woo’s two accomplices to one and a half years and one year in prison, suspended for three years. The three pocketed a total of 29 million won (US$17,323) from the difference in stock prices triggered by their schemes, the officials said. The trio was also involved in a separate stock manipulation in February that stemmed from false rumors of a vaccine development at a pharmaceutical company. SEOUL, June 28 (Yonhap) — South Korea is set to sign a military pact with Japan on Friday, marking the first military agreement between the two historical rivals, a senior Seoul official said Thursday, despite lingering bitterness over Tokyo’s colonial atrocities. Japan notified South Korea that its Cabinet would approve the pact Friday and the signing will be made in Tokyo immediately after the endorsement, the foreign ministry official said. South Korea’s Cabinet already approved the pact on Tuesday. The pact, named the General Security of Military Information Agreement (GSOMIA), allows Seoul and Tokyo to exchange delicate military intelligence on North Korea’s nuclear and missile programs as well as information about China, Seoul officials said earlier. “If things go as planned, the two nations will sign the pact on Friday,” the official said on condition of anonymity. Foreign Ministry spokesman Cho Byung-jae said he could not confirm the notification from Japan, but conceded the deal could be signed on Friday. “I think signing of the pact will be possible tomorrow afternoon if there is no particular problem,” Cho told reporters during a press briefing. Cho denied media speculation that South Korea was prodded to sign the agreement by the United States, which has urged Seoul and Tokyo, its two closet Asian allies, to strengthen military ties amid growing hostility from North Korea and the rise of China. However, the spokesman stressed the need to increase three-way military cooperation between Seoul, Washington and Tokyo. “Many people would agree in principle that Korea-U.S.-Japan cooperation is important in terms of our security, but it is not the truth that the pact has been hastily pushed,” Cho said. About 28,500 U.S. troops, mostly ground soldiers, are stationed in South Korea and more than 35,000 U.S. troops, mainly consisting of navy, air force and marines, are stationed in Japan. Ministry officials said the U.S. forces in Japan would become a rear guard for the U.S. forces in South Korea in case of hostilities on the Korean Peninsula. Officials said the pact with Japan is taking aim at the rise of China, allowing Seoul and Tokyo to share sensitive military information about Beijing. Since early 2011, Seoul and Tokyo have been in talks to forge two military pacts, the GSOMIA and an accord on military logistics called the Acquisition and Cross-Servicing Agreement (ACSA). Seoul decided to shelve the ACSA, which could allow Japanese troops to enter South Korean territory, because of its sensitivity. However, the official hinted at going ahead with the military logistic pact with Japan. “Talks on the Acquisition and Cross-Servicing Agreement have been shelved because more time is needed for further consultations,” the official said. South Korea’s ambassador to Japan, Shin Kak-soo, and Japanese Foreign Minister Koichiro Gemba are likely to sign the military intelligence pact in Tokyo on Friday, according to the official. South Korean Defense Minister Kim Kwan-jin had planned to visit Japan last month to sign the GSOMIA but put the visit on hold due to some territorial and other unresolved issues that have arisen from their shared past. Japan ruled the Korean Peninsula as a colony from 1910-45. Military cooperation is one sensitive area that needs to be addressed in Seoul-Tokyo relations, but the two nations have lately agreed on the need to expand cooperation in the defense sector in the face of increasing military threats from North Korea, especially after the death of North Korean leader Kim Jong-il. Many Koreans still harbor deep resentment toward Japan because of its brutal colonial rule. A series of disputes over history and territorial issues stemming from the colonial rule have plagued relations between the two countries for decades, though they are key trading partners for each other. The article also described the pact between South Korea and Japan as a “confrontation and cooperation agreement” against North Korea. Vietnamese police have arrested a South Korean activist for helping North Korean refugees enter the South via the Southeast Asian nation. The South Korean Consulate in Ho Chi Minh city said the 51-year-old man, identified only by his family name Yu, was detained last week along with a group of refugees from the North at a hotel in the southern city. Yu was expelled from the country eight years ago for attempting to help about 400 North Korean refugees reach the South. The activist had reportedly also helped defectors pass through other countries, including Laos. China has told North Korea that it will reconsider a dubious development project on North Korea’s Hwanggumpyong island. The island located on the border between China and North Korea was designated a special economic zone last June. North Korea promised to lend the island to China for 50 years so Beijing can foster IT, tourism, light industry and modern agricultural industry there. In return for the development project from Chinese investors, North Korea would give China access to its Rajin port on the East Sea. However, the Chinese government told North Korea last month that it will review the project from the scratch, apparently because it believes the island has little business value. North Korea’s rocket launch in April despite Chinese protests may also have provoked the rethink. WASHINGTON, June 25 (Yonhap) — The U.S. Senate’s move to ban food assistance for North Korea without a presidential waiver overlooks a more important issue — securing measures for fair and transparent distributions of food donations in the communist nation, a U.S. congressman said Monday. “My concern is that the compromise reached in the Senate would not lead to effective monitoring of food aid, should U.S. food aid ever be resumed,” Rep. Ed Royce (R-CA) told Yonhap News Agency. The Senate passed a farm bill last week that includes strict restrictions on giving North Korea food aid. The five-year farm bill cuts agriculture subsidies and includes an amendment that the U.S. will provide Pyongyang with food aid under the Food for Peace Act only when the president issues a waiver in consideration of national interest. Sen. Jon Kyl (R-AZ) initially proposed an amendment to cut off U.S. food aid to North Korea, but Senate Foreign Relations Committee chairman John Kerry (D-Mass) and ranking Republican Richard Lugar of Indiana countered it with their own amendment to leave the door open for the shipment of food to the North. 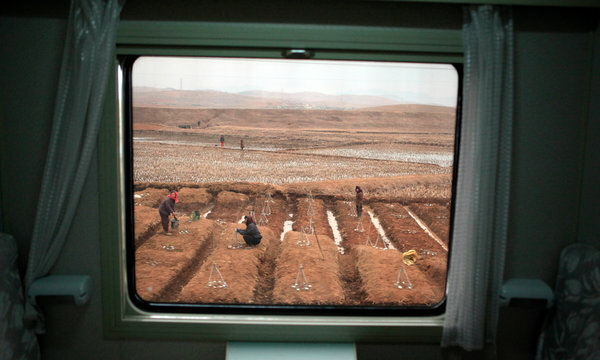 It still makes it more difficult for the U.S. government to provide food to Pyongyang. The House of Representatives has yet to reach an agreement on its own version of the farm bill. “Congress recognizes that food aid to North Korea has often not helped those in greatest need. Instead, it has been diverted to support the North Korean military, and the human rights-abusing government,” said Royce. The U.S. has provided about $800 million in food aid to North Korea since 1996, he noted. “As the legislative process moves forward, Congress should ensure that any possible future food aid to North Korea be monitored as effectively as possible,”he said. The U.S. came close to resuming food aid for North Korea earlier this year. But it shelved the plan when Pyongyang fired a long-range rocket in April. BEIJING — As Kim Jong-un, the young leader of North Korea, consolidates his grip on power, China is showing signs of increasing frustration at the bellicose behavior of its longtime ally. Since succeeding his father, Kim Jong-il, six months ago, Mr. Kim has quickly alienated the Obama administration and put North Korea on track to develop a nuclear warhead that could hit the United States within a few years, Chinese and Western analysts say. Most surprising, though, is how Mr. Kim has thumbed his nose at China, whose economic largess keeps the government afloat. For example, shortly after Mr. Kim took over, a Chinese vice minister of foreign affairs, Fu Ying, visited Pyongyang, North Korea’s capital, and sternly warned him not to proceed with a ballistic missile test. The new leader went ahead anyway. Now, the Obama administration and the Chinese government, who warily consult each other on North Korea, are waiting to see if Mr. Kim will follow in his father’s footsteps and carry out a nuclear test, which would be North Korea’s third. The previous tests were in 2006 and 2009. This month, the North Korean news agency said there were no plans for a third test “at present,” a statement analysts said suggested Mr. Kim was just waiting for a moment that better suited him. Mr. Kim’s erratic behavior unfolded early on. In late February, his government signed an agreement with the United States to freeze its nuclear weapons and ballistic missile programs, giving hope that he would turn out to be more open to change than his father. But six weeks later, Mr. Kim ripped up the accord and, without informing China, ordered the missile test that Washington viewed as a test run for launching a nuclear weapon. The missile test, in April, was a failure, but that did little to alleviate concerns within the Obama administration that Mr. Kim was intent on pushing ahead with its nuclear weapons program. “The North is on track to build a warhead that could in a few years hit any regional target and eventually the United States,” said Evans J. R. Revere, a former United States principal deputy assistant secretary of state for East Asian and Pacific affairs. Since the failed missile test, Mr. Kim has formalized North Korea as a “nuclear armed state” in the Constitution, another signal that the government has no intention of giving up its nuclear program, Mr. Revere said. With virtually no contact between the United States and North Korea, Mr. Revere argued, it is time for Washington to toughen its approach. In a series of quick maneuvers, Mr. Kim, whose exact age is not known (he is believed to be 28 or 29), assumed the mantle of power immediately after his father’s death and cast aside early assumptions that his tenure would be a regency largely run by his elderly relatives. The China News Service, a state-run agency, headlined an article last week: “Smooth transfer of power six months after Kim Jong-il’s death. North Korea enters era of Kim Jong-un.” The top North Korean Army generals, some of them in their 80s, have joined ranks around Mr. Kim, presenting a unified command, said Daniel A. Pinkston of the International Crisis Group in Seoul, who has written a forthcoming report by the group on North Korea. At a congress of the ruling Communist Party in April, members of the Kim family were appointed to senior positions in the Politburo. The new appointees included Kim Kyong-hui, a younger sister of Mr. Kim’s father. Her husband, Chang Song-taek, also won a spot on the Politburo. To recover from the embarrassment of the failed missile test, Mr. Kim unleashed a bellicose warning to South Korea in late April, threatening that a “special operations action” team would “reduce to ashes the rat-like” leadership of President Lee Myung-bak. In contrast to his taciturn father, Mr. Kim has been seen more in public, particularly with students and children, a propaganda campaign intended to present a more benign image to an impoverished and embittered population. On the basis of his years at a Swiss boarding school, Mr. Kim was thought by some analysts to be a potential economic reformer. These assumptions have turned out to be misplaced, and the new leader has shown no interest in following the advice of China to open up the economy, even in a modest way. Despite Mr. Kim’s obstinacy, China keeps the economy from collapsing. Right after Mr. Kim assumed power, for example, China gave North Korea 500,000 tons of food and 250,000 tons of crude oil, according to the International Crisis Group report. That helped overcome what a German aid official, Wolfgang Jamann, said in Beijing on Friday was the worst drought in 60 years. His organization, Global Food Aid, has run a food program in North Korea since 1997. “If it continues not to rain, it would be a problem,” said Mr. Jamann, who just returned from a trip to North Korea. So far, though, the aid seems to have prevented disaster. According to South Korea’s Foreign Ministry, food shortages, while still grim in many rural areas, do not seem as serious as might be expected, given the drought. China’s generosity has not bought it immunity against North Korean rancor. More than two dozen Chinese fishermen were held captive for two weeks by North Korea in May. After their release, one of the fishermen described how his boat was boarded by North Korean Navy men brandishing guns. After “13 days in hell,” the fishermen were released, according to interviews in the Chinese news media. But not before the boats and men were stripped, the men to their underpants, the fisherman said. Such behavior ignited protests on Chinese Web sites, and normally calm Chinese analysts who follow North Korea said they were infuriated by the indignities. “I was disappointed in our government’s soft line during the incident with the seized boats,” said a Chinese analyst who spoke on the condition of anonymity for fear of angering his superiors. Nonetheless, senior Chinese officials “dare not use China’s economic leverage” against North Korea, said Shi Yinhong, a professor of international relations at Renmin University in Beijing. That is because a collapse of the North Korean government could result in a united Korea allied with the United States, which would be a nightmare scenario for China, Mr. Shi said. Indeed, as China becomes more concerned about what it sees as the United States’ stepped-up containment efforts against China — including the positioning of more warships in the Pacific — the less inclined it is to help the United States on North Korea, said Yun Sun, a China analyst in Washington. “China will not help the U.S. and South Korea solve the North Korea problem or speed up a China-unfriendly resolution, since China sees itself as ‘next-on-the-list,’ ” she wrote in an article last week for the Center for Strategic and International Studies in Hawaii, where Pacific Command, the arm of the American military overseeing the increased United States naval presence in the Pacific, is located. And over all, there are unyielding historical reasons for China’s protectiveness toward North Korea, said an experienced American diplomat and expert on China. “Beijing disapproves of every aspect of North Korean policy,” J. Stapleton Roy, a former United States ambassador to China and now vice chairman of Kissinger Associates, wrote in an article this month, also for the Center for Strategic and International Studies. Oh Kil-nam, a prominent South Korean activist whose wife and daughters were detained in North Korea, will testify before the UN High Commissioner for Refugees this week about the abuse his family suffered, a diplomatic source said. The Office of the High Commissioner for Refugees apparently decided to hear Oh’s testimony after the UNHCR found last month that his wife and daughters were unlawfully detained by North Korea. It is rare for a member of a family abducted by North Korea to get a chance to testify before the UNHCR. Oh will also reply to questions from members and read a letter urging North Korean leader Kim Jong-un to release his daughters. Oh and his wife, Shin Suk-ja were lured to North Korea from Germany in 1985. Oh later escaped alone. In November last year, the International Coalition to Stop Crimes Against Humanity in North Korea submitted a petition to the UN seeking the rescue of Shin and her daughters. Pressed by the UN for a response, North Korea sent a curt letter this month claiming Shin had died of hepatitis and her daughters disowned Oh. 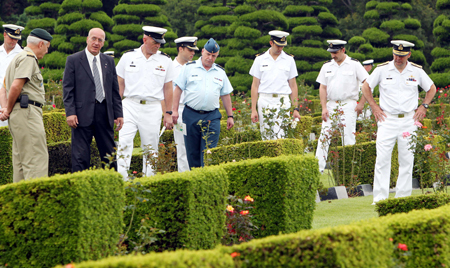 Canadian sailors visit the graves of Canadian soldiers killed in the Korean War (1950-53) at the United Nations Memorial Cemetary in Busan, Friday. Back in December 1950, the first Canadian troops came to South Korea, then fighting its Stalinist northern neighbor after the North launched an attack at dawn on Sunday, June 25. Nearly 26,000 young Canadians, mostly aged 18 or 19 years, fought for the freedom of this nation under the U.N. flag. More than 300 died and some 1,100 were wounded. “We had just come out of World War II and 10 percent of men in Canada fought in that war. So we had just completed a very long, difficult war in which Canadians fought and died for the freedom of other countries,” Chatterson said in an interview with The Korea Times. The Canadian envoy said there had been a pros and cons debate regarding the plan to dispatch the troops when Canada was asked to join the Korean War. “There was a lot of opposition to going back into a war. But we were very supportive of the U.N. and this was the Cold War period. There were issues much bigger frankly than Korea at play,” Chatterson said. Canada has been active in international peace-keeping operations and the military campaign to fight for the freedom of foreign nations. The North American country sent troops to Iraq during the first Gulf War, the Libyan Civil War in 2011 and Afghanistan. Ambassador Chatterson said Canada’s contribution to international peace and security might have been impossible without support from its citizens and their awareness of the role Canada has to play to help make the world peaceful. “Canada is a country populated by immigrants. So we always had connections to Europe, to Asia, and to countries around the world. That makes us look outward, not inward,” he noted. Ambassador Chatterson made the remarks as South Korea marks the 62nd anniversary of the outbreak of the Korean War Monday. According to the Ministry of National Defense, some 63 nations from all around the world had either sent troops or provided necessary assistance to South Korea during the forgotten war. The 63 nations included the United States, the United Kingdom, Turkey, France, Belgium, Colombia, Ethiopia, and the Philippines. These countries joined the Korean War after the U.N. Security Council passed a resolution to begin a police action to help the South in the wake of North Koreans’ launch of the attack. Chatterson said Canadian veterans, who are now mostly in their 80s, felt that their sacrifices paid off after witnessing the dramatic changes South Korea has made in terms of socio-economic development over the past six decades. “In my discussions with them, they were very pleased that their sacrifices have enabled this,” he said. Six decades after the outbreak of the Korean War, the Canadian ambassador, who arrived in Seoul last September to assume duties to South and North Korea, said he felt the need to raise the profile of Canada as well as bilateral relations in South Korea. The two sides will commemorate the 50th anniversary of the establishment of diplomatic relations next year. The two governments have made various efforts to bolster ties. One of them was the restart of negotiations to clinch the Korea-Canada free trade agreement, suspended after the two sides began talks in 2005. Last week, President Lee Myung-bak and Prime Minister of Canada Stephen Harper announced this after the summit held on the sidelines of G20 Summit held in Mexico. “Our negotiations are well-evolved and Canada and Korea have complementary economies,” said Chatterson, revealing optimism about the road ahead of the trade pact. Near the end of the interview, the ambassador launched the pitch for Canada Day slated for July 1. “We don’t celebrate this with army parades. Rather we celebrate this with communities in Canada and around the world. We will have concerts, picnics, barbeque and fireworks,” he said. President Lee Myung-bak said that no future North Korean provocations would be tolerated on the eve of the 62nd anniversary of the communist state invasion that triggered the 1950-1953 Korean War. Lee’s visit was the first by a South Korean leader to the nation in 50 years since their establishment of diplomatic ties. Colombia came to the aid as a member of a 16-nation coalition in the Korean conflict. “What we want is to quickly achieve peace on the peninsula and unification through cooperative steps,” the President said. He thanked the veterans for their contribution to the nation. “The Republic of Korea of today exists because you fought for and staked your lives to defend the far-flung nation in the East without evening knowing its name,” he said. Despite the decades that have passed since the war broke out, military tensions remain high, a fact highlighted over the weekend by U.S.-South naval drills meant as a show of force against the Stalinist regime that waged two deadly attacks in 2010. Lee, on the last stage of a four-nation Latin America swing, earlier paid tribute to Colombian troops killed in the 62-year-old war, laying a wreath at a Korean War memorial in Bogota. Lee was to meet with Colombian President Juan Manuel Santos for deepening cooperation in areas such as trade and investment as well as infrastructure development. He said that thanks to the allies’ help, Korea has become a “donor’ country that makes contributions to poor countries in a major turnaround from a country that lived on international handouts. “We, Koreans and Colombians are blood-sealed brothers,” Lee declared. Korea and U.S have been staging massive naval drills in the West Sea, which can be taken as a show of force not just against Pyongyang but also its ally, China. The two allies, plus a contingent from Japan, have been conducting an exercise aimed at increasing deterrence capabilities since the sinking of ROK warship Cheonan and shelling of Yeonpyeong Island in 2010. The North is to blame for both provocations that led to the tensest moments since the 1953 truce. The exercise comes as the North maintains its hard line under the leadership of new leader Kim Jong-un, the son of the late ruler Kim Jong-il. A total of 8,000 personnel were involved, manning 10 South Korean warships and the nuclear-powered USS George Washington aircraft carrier and hundreds of aircraft, according to the Ministry of Defense. The war games followed the allies’ largest-ever single-day live-fire exercises, Friday, near the border with the North that featured 2,000 troops as well as jet fighters, attack helicopters and various rocket launchers. Tensions linger following Pyongyang failed rocket launch in April, which was deemed a test of ballistic missile technology and scuttled efforts at engagement. Despite U.S. concerns of proliferation and security threats, North Korea is not a critical issue that will affect the outcome of the American presidential election in November. The North is not likely to provoke military trouble serious enough to make a difference during the rest of this presidential election year for either the United States or South Korea. Since Pyongyang’s failed satellite rocket launch in April that effectively cancelled a Feb. 29 agreement with Washington, the North has shown willingness to forego a third nuclear test and to reengage the United States. From its strategic calculation, the new North Korean leadership under Kim Jong-un seems to have decided to avoid further provocations. However, it is also unlikely that there would be a breakthrough to the deadlock in inter-Korean relations or a new development that could help remove distrust and hostility between the United States and the DPRK, which has reached the worst level in the 60-year cycle of confrontation and engagement. The Barack Obama administration knows that there is no satisfactory settlement of the North Korean issue achievable before the election. To protect his reelection chances, Obama would hope that the North does not stir up more trouble. The North appears to be cooperative for its own interests. The North Koreans likely favor the reelection of Obama over the presumptive Republican presidential nominee Mitt Romney, despite their disappointment and frustration with the minimal record of Obama’s North Korea policy. From Romney’s statements on North Korea so far and in view of the known perspectives of his foreign policy team members, it is easy to understand why North Koreans would favor Obama. A Romney administration would resemble the hawkish George W. Bush administration preferring to rely on military force to resolve international disputes rather than diplomacy. To appeal to voters, Romney speaks of “another American century,” “an American exception to stay as the sole superpower to lead,” and “a robust military presence in the Pacific.” He does not trust the sincerity of the North Koreans at the negotiating table. He does not talk about engagement or negotiation for non-proliferation but about implementation of verifiable inspections. When Kim Jong-il died six months ago, Romney argued that the United States should push for regime change on the opportunity of the North Korean leader’s death, calling him “a tyrant who lived a life of luxury while the North Korean people starved,” and who developed dangerous weapons. To bring about regime change and to force North Korea to take a different path, Romney said, “America must show leadership.” In contrast, the Obama administration has called for stability and caution during Pyongyang’s transition. A Romney administration would clearly be tougher in rhetoric and attitude, but it does not offer new ideas that could disarm North Korea. Its policy represents a rehash of the hardline aspects of what the previous and present administrations have tried without much success. Romney has yet to offer more specifics on how he can accomplish denuclearization and secure peace and stability in Korea. The underlying assumption for this approach is not original. Under Obama’s policy of strategic patience, Washington and Seoul had erroneously anticipated an imminent fall of the Pyongyang regime or its surrender to international pressure to accept the conditions of engagement as dictated by them. The North neither fell nor surrendered. Like Obama, Romney “will also pursue robust military and counter-proliferation cooperation with our allies and others in the Pacific region.” Similarly, he will also invigorate relationships with South Korea, Japan, and others to increase a collective military presence and cooperation,” to deal with the rising power of China. The North is unlikely to collapse in the next five years. And, since neither Obama nor Romney seems to have any fresh ideas that will resolve the issue, perhaps, a solution should come from the next government of the South or the new leadership of the North. What’s your take? SEOUL, June 25 (Yonhap) — Senior South Korean and Russian diplomats will hold one-day talks this week in Seoul to discuss possible ways to revive the long-stalled six-party talks on North Korea’s nuclear weapons programs, a Seoul official said Monday. Russia’s deputy chief envoy to the six-party talks, Grigory Logvinov, was scheduled to arrive in Seoul later Monday for a three-day visit and hold talks with South Korea’s top nuclear envoy Lim Sung-nam on Tuesday, the senior official at Seoul’s foreign ministry said. “During the talks, Ambassador Logvinov and Lim plan to hold in-depth discussions about North Korea’s nuclear issue and other overall matters with regard to North Korea,” the official said on the condition of anonymity. They will also discuss “the current state of the Korean Peninsula after North Korea’s failed rocket launch and ways to move forward on the North’s nuclear issue,” the official said. The visit by Logvinov to Seoul also coincides with the Russian government’s move to write off 90 percent of North Korea’s Soviet-era debt of US$11 billion. Diplomatic efforts to resume the six-party talks, involving the two Koreas, the U.S., China, Russia and Japan, were frozen in April when North Korea defiantly launched a long-range rocket. The North’s failed launch ended a possible deal with the U.S. in which Pyongyang agreed to suspend its nuclear and missile activities in return for food aid by Washington. Such conditions had been considered necessary steps to reopen the six-party talks. The six-party talks aimed at persuading North Korea to give up its nuclear ambition have been stalled since late 2008. Pyongyang has conducted two nuclear tests, in 2006 and 2009. In Seoul, the Russian envoy is also expected to discuss an ambitious plan to build a natural-gas pipeline from Russia to South Korea via North Korea, the ministry official said. The gas project, which has been discussed for about 20 years but never has materialized due in part to security tensions, gained momentum after late North Korean leader Kim Jong-il expressed his willingness to permit the envisioned pipeline to go through the nation during summit talks with then-Russian President Dmitry Medvedev in August last year. Kim died of a heart attack last December, and his youngest son, Jong-un, took the helm of North Korea. SEOUL, June 25 (Yonhap) — North Korea vowed Monday to further strengthen its nuclear deterrent to cope with what it called U.S. hostile policy, leveling criticism at the latest South Korea-U.S. joint military drill. The latest rhetoric came after North Korea’s flag was fired upon during a South Korea-U.S. joint live-fire drill near the border with the North on Friday. The communist nation, which conducted two nuclear tests in 2006 and 2009, has made similar threats in recent years. 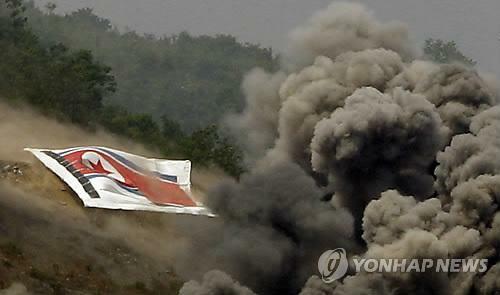 “It is an extremely grave military action and politically-motivated provocation to fire live bullets and shells at the flag of a sovereign state without a declaration of war,” the North’s Foreign Ministry spokesman said in an English-language statement carried by the country’s official Korean Central News Agency. The unidentified spokesman also claimed the “reckless act” by the U.S. was the most vivid expression of its hostile policy toward the North. North Korea “will further bolster up its nuclear deterrent for self-defense as long as the U.S. … persists in its hostile policy towards” Pyongyang, the spokesman said in the statement. North Korea has long used the term, “nuclear deterrent,” to refer to its nuclear arsenal. The North frequently accuses the United States of hostility toward Pyongyang and plotting with South Korea to invade North Korea. In March, U.S. President Barack Obama said during a trip to Seoul that Washington has no hostile intent toward North Korea and is prepared to improve relations between the two. The North’s latest threat comes on the 62nd anniversary of the start of the 1950-53 Korean War, which ended in a cease-fire, not a peace treaty. About 28,500 U.S. troops are stationed in South Korea to help deter North Korea’s possible aggression. I’m not a skater. I can’t stay on a skateboard for more than 5 seconds without nearly falling to my death. But I do want to someday buy myself a longboard and learn to conquer it. It’s on my bucket list. So even though I don’t know how to ride a skateboard, I do admire those that do. I think it’s an impressive skill and an artistic means of expression. So imagine my intrigue when I came across an article about skaters in North Korea! 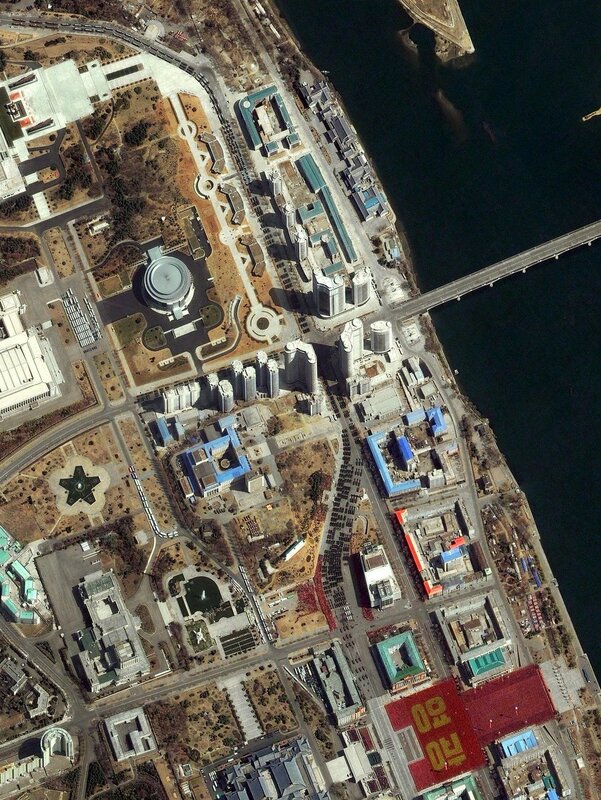 Kim Jong Un speaks at a military parade in Pyongyang celebrating the 100th anniversary of Kim Il Sung’s birth on April 15th, 2012, as seen from space. Photo credit Digital Globe, Inc. via MSNBC. As far as we know, Kim Jong Il, late president of North Korea, spoke publicly one time only during his thirty years in the limelight of his country’s ruling party. When he did, it was a single line. His father, Kim Il Sung, had given a speech during celebrations for the 60th anniversary of the North Korean People’s Army’s establishment; after the speech, the younger Kim stepped to the microphone and voiced his only public sentiment: “Glory to the heroic soldiers of the Korean people’s army!” (see it in this video). That was in 1992. The Western media heard his voice a few more times; for instance, in this video from 2007. Still, he gave no more speeches that his own country would hear. Kim Jong Un gave his first public speech on April 15th, during the 100th-anniversary celebrations of his grandfather’s birth. It is the nation’s most important holiday. The younger Kim’s speech was extensive—20 minutes long—and stands in sharp contrast to his father’s reclusiveness. Chinese president Hu Jintao (right) speaks with Kim Jong Il in May 2010. 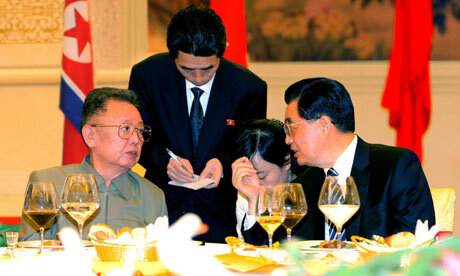 Photo credit Korean Central News Agency, via The Guardian News. What sound does a dog make? This is a question that we probably don’t think too much about after elementary school. In English, the answer is bow wow, or maybe woof woof, depending on the size of the dog you choose to imagine, or the state you grew up in. To most English speakers, these answers are pretty obvious, and restricted in their range of responses. But in France, dogs go ouah ouah. In Swedish: bjäbb bjäbb. In Japanese: wan wan. In Greek: gav gav. In Italian: bau bau. And in Korean: mung mung. OneKorea is self-run by the MOU Overseas Correspondents themselves. Articles on OneKorea are not meant to reflect the policies and political positions of South Korea's Ministry of Unification. Click to subscribe to OneKorea and receive notifications of new posts by email.